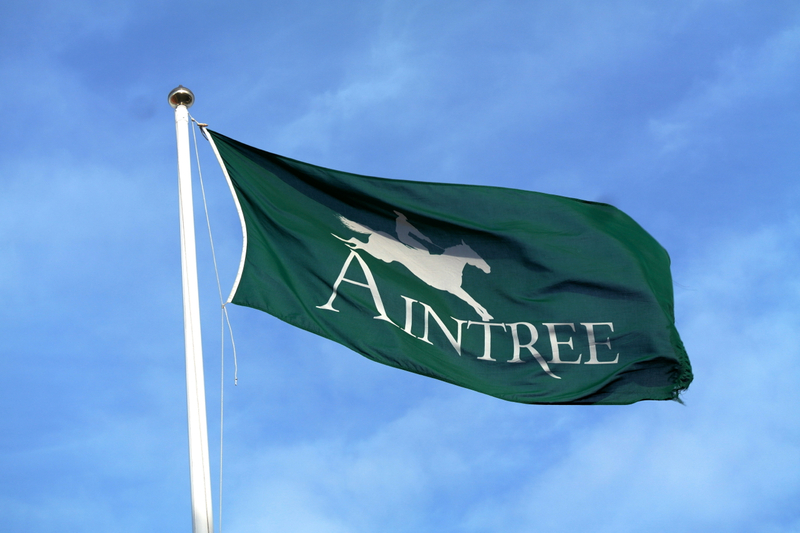 We are just a couple of months away from the 2017 Grand National at Aintree where a maximum field of 40 runners will be taking on the bigger fences at the Merseyside racecourse in what is the most exciting race of the year in the sport. 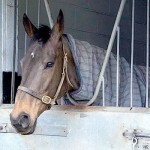 At the latest declaration stage, there were 110 entries for the 4m4f contest in April, the most notable exception being the Welsh Grand National winner Native River was who was expected to run at Aintree following his outing in the Cheltenham Gold Cup at the Festival a month earlier, however, connections have chosen against that move. Here is a look at the leading contenders for the 2017 Grand National and their chances of being successful in the most famous steeplechase in the world. The Last Samuri went so close to Grand National success 12 months ago when he finished second to Rule The World in an excellent opening run in the contest where he was tipped up for success by Oddschecker in the 4m4f race. The nine-year-old has to be one of the fancied runners to prevail in 2017 given his experience over the bigger fences. Kim Bailey’s runner has had two runs already so far this season. He opened up at Down Royal in a strong Grade One contest which was used to help his fitness ahead of the Becher Handicap Chase at Aintree where once again he showed his liking of the bigger fences to finish third, just a length behind the winner Vieux Lion Rouge. The Last Samuri is likely to have to carry more weight than he did in 2016, however, if you are looking for a horse who you think will get round the course at the very least, last year’s runner-up should be the one for you. Three-time Grade One winner Don Poli is expected to take his first shot at the Grand National in April. Gordon Elliott’s runner finished third in the Cheltenham Gold Cup last season and is likely to head to the Festival before a tilt at the 4m4f contest. Don Poli’s best form has come on soft or heavy ground. His best attribute has often been his stamina therefore the step up in distance may bring an improvement out of the eight-year-old. Elliott won the Grand National in 2007 when Silver Birch was a surprise 33/1 winner. He’ll be hoping Don Poli can provide him another success where it would be the second consecutive year that an Irish trainer has won the race following Rule The World’s victory 12 months ago. Not many horses have won over 3m5f or further this season as there aren’t that many races of that distance on the calendar, however, One For Arthur was successful over the marathon trip at Warwick last month in impressive style to put himself in contention for the Grand National. The tongue-tie was used for the first time for trainer Lucinda Russell at the Midlands track and it appeared to get an improvement out of the chaser who scored by six lengths ahead of Goodtoknow and Shotgun Paddy who finished second and third respectively. One For Arthur got his first taste of the Grand National fences last December when he ran in the Becher Handicap Chase. He was able to safely get round the course but found the 3m2f trip a little too sharp for him as he could only finish fifth in the race. Empire of Dirt had a great campaign in 2016 as he won all three of his races during the calendar year for his trainer Elliott. The 10-year-old scored in a Grade A handicap chase at Leopardstown in January before coming out on top in a 2m5f handicap chase at the Cheltenham Festival, the biggest win of his career to date. Elliott’s chaser made his seasonal reappearance at Navan where he won the Grade B Troytown Handicap Chase to continue his excellent form into the new season. Empire of Dirt has entries in the Ryanair Chase and Cheltenham Gold Cup at the Festival next month. He is more likely to run in the latter where the trip is more suited to the Irish-bred horse. 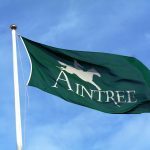 As long as he comes out of the Festival well, he is expected to line up at Aintree where he will be one of the highest rated runners in the field. This horse ran in the Irish Grand National in 2015 where he fell at the first fence after making an early error. Since then though his jumping has been much better which has been a key reason for him rising so high the ratings. On his best form, he is one of the best horses entered in this year’s Grand National. 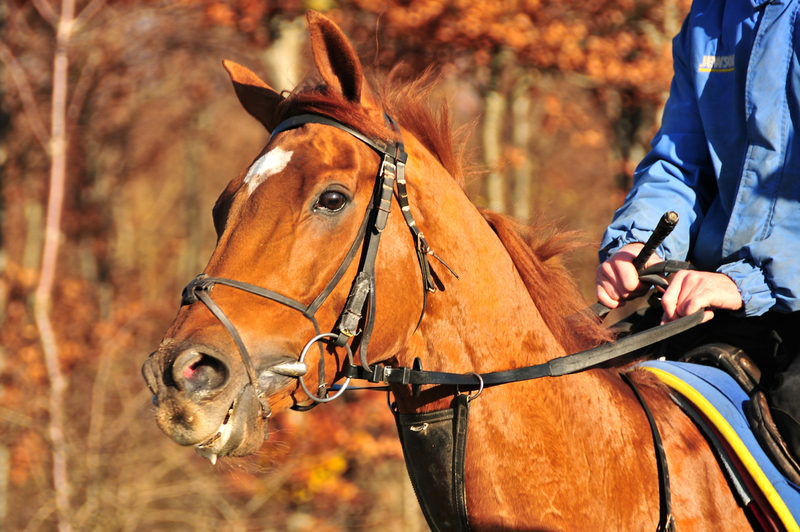 David Pipe’s Vieux Lion Rouge finished seventh on his debut in the Grand National last year. The eight-year-old outran his odds of 66/1 as he completed the course ahead of many of the market leaders in a fantastic run from the outsider. Pipe’s runner was held up in the rear of the field by his jockey James Reveley early into the contest. He made headway from the halfway point and was right up with the leaders at the 26th fence. Sadly for connections, their horse weakened inside the final two furlongs which meant he dropped back to seventh. Vieux Lion Rouge returned to Aintree in his opening run of the 2016/17 campaign to score in the Becher Handicap Chase over the shorter trip of 3m2f. If you are looking for a horse who enjoys jumping the Grand National fences then this French-bred chaser should be for you. The Becher winner is expected to run in the Grand National Trial at Haydock later this month before he heads to Merseyside for his second shot at the world-famous steeplechase where he is much shorter in the betting this time around. The Young Master ended last season in style with success in the Grade Three Bet365 Gold Cup which took place on the final day of the 2015/16 campaign at Sandown. Neil Mulholland’s runner battled with Just A Par in the run-in at the Esher-based track where he got the decision by a short head in a tight finish to the contest. Things didn’t quite go to plan for connections of the horse in the Becher Handicap Chase as he fell two fences from home when trailing the leaders by a considerable distance. They’ll be hoping he learns from that experience when he returns to the Grand National course in April. The Young Master is likely to be leading amateur Sam Waley-Cohen’s ride in the 4m4f contest this year. The dentist by trade was successful in the Cheltenham Gold Cup with Long Run in 2011 so will be looking to complete a rare double for an amateur rider in the two leading national hunt races. Mulholland’s chaser finished third in the Grade Three Ultima Handicap Chase at the 2016 Cheltenham Festival. He does not have an entry in any of the races this year though as connections want him to concentrate on his Aintree bid and to be as fresh as possible for the gruelling 4m4f contest. Carlingford Lough is a winner of five Grade One races and has been running at the highest level for a number of years now. At the age of 11, he is expected to have his first shot at the Grand National for his trainer John Kiely and owner JP McManus. The Irish horse finished fourth in the Cheltenham Gold Cup last season in a respectable run after going off at 25/1 in the betting. A month later he was successful in the Punchestown Gold Cup, one of the biggest races in Ireland where he finished ahead of Cue Card, Djakadam and Don Poli. McManus famously won the Grand National for the first time in 2010 with Don’t Push It when Tony McCoy rode the horse to victory for his maiden success in the race. The 11-year-old is likely to be the choice of ride for Barry Geraghty this year. He was successful in 2003 when he was on board Monty’s Pass for trainer Jimmy Mangan. Paul Nicholls’ chaser Vicente showed his liking of long-distance races when he scored in the Scottish Grand National in 2016. The eight-year-old led going into the final fences of the 3m7f contest at Ayr and kept on strongly in the home straight to prevail by just under three lengths ahead of Alvardo and Seeyouatmidnight who was a further head back in third place. Vicente started this season in the Hennessy Gold Cup at Newbury where he made a rare mistake and fell at the second last fence. He had no chance of winning the race at the time as he had dropped a long way behind Native River who justified favouritism to land the prestigious contest. Nicholls’ runner returned a month later at Chepstow in the Welsh Grand National where he finished sixth of the 20 runners. The Champion Trainer is likely to have his horse in peak condition for Aintree as he bids for his second Grand National win following Neptune Collonges’ success in 2012. 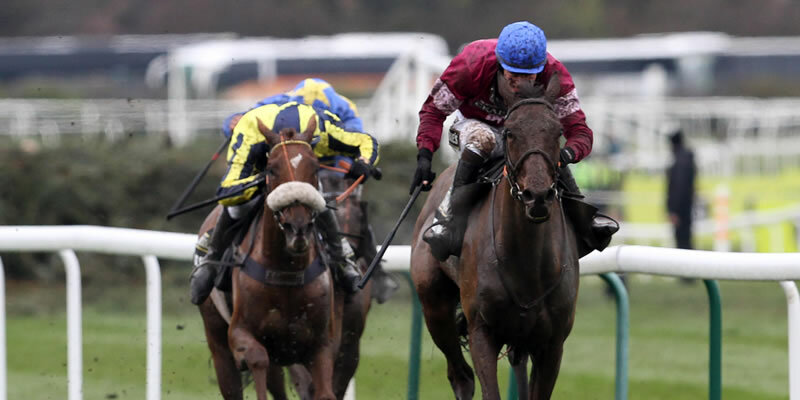 Minella Rocco could be of the most inexperienced runners in the Grand National in April, however, the seven-year-old is one of only a handful of the entries to have won over 4m or longer. Jonjo O’Neill’s horse was successful in the National Hunt Chase Challenge Cup at the Cheltenham Festival last season where he got the better of Native River by over a length. No seven-year-old has won the Grand National since Bogskar came out on top in 1940 so Minella Rocco will enter the history books if he can outstay his rivals at the Merseyside track. Minella Rocco started his campaign this season at Cheltenham where he went off the 11/2 favourite for a Grade Three Handicap Chase. O’Neill’s runner could not finish any better than third though in the race won by Viconte Du Noyer. He then returned to action a month later in a Listed race at Aintree where he fell at the last fence when in contention. The seven-year-old also has an entry in the Cheltenham Gold Cup so connections will have to decide over the next few weeks if he runs in both of those races or skips the Festival to concentrate on the Grand National. Rogue Angel was the winner of the Irish Grand National in 2016 and is expected to make the trip across to Aintree in April where he will be looking to join a small club of horses to win the two races in their careers. Mouse Morris, who trains the horse, is bidding for back-to-back success in the Grand National following Rule The World’s victory last year. Rogue Angel ran in the Becher Handicap Chase back in December where he finished 10th of the 22 runners. Since then he has had two outings in Ireland but failed to come home better than fifth. Another horse who is set to return to the Grand National this year for his second shot at the steeplechase is Ucello Conti. The nine-year-old was sixth in 2016 and was making good headway in the second half of the contest before he blundered at the 26th obstacle. Ucello Conti was fourth in the Becher Handicap Chase where he finished just over two lengths behind Vieux Lion Rouge. On his most recent outing he was second in a Grade A handicap chase over 3m1f at Gowran Park. The chaser has only had nine runs in the UK and Ireland but had a vast amount of experience jumping obstacles in France before he switched to Elliott’s stable. One thing is for sure this year, there will be a new name on the Grand National roll of honour as no previous winner is entered in the 2017 race. Enjoy the race and good luck with your selections. http://www.grandnationalstats.co.uk/wp-content/uploads/GN16-AL.jpg 400 800 Captain Becher http://www.grandnationalstats.co.uk/wp-content/uploads/header-LOGO3.jpg Captain Becher2017-02-13 11:37:532017-02-13 11:37:53Who Are the Leading Contenders for the 2017 Grand National?